Legends of Tomorrow may be returning to The CW this fall with a brand new season, but it will be without one series regular. Per Deadline, Keiynan Lonsdale is out of the superhero drama series after just one season in the role of Wally West aka Kid Flash. While Wally boarded the Waverider as a regular on Legends of Tomorrow Season 3, he first appeared on The Flash and is expected to appear on at least one episode of the latter's fifth season. The news is somewhat surprising, especially when you consider the fact that Lonsdale moved over to the Legends late into the season. But it now makes sense that both Matt Ryan and Jes Macallan have been upped to series regulars ahead of Season 4 of the time-traveling series. Ryan has appeared multiple times as John Constantine multiple times, and he even had his own show on NBC at one point that lasted just one season. Since that show was canceled, fans have been eager to find another avenue to watch Ryan in the role once again, and now it appears fans have got their wish. As for Macallan, she recurred as Ava Sharpe on Legends of Tomorrow Season 3 and will be a full-fledged regular for the fourth season. It's unclear how Lonsdale's exit will be explained on the series, but we're sure we will get some clarity in the coming months. 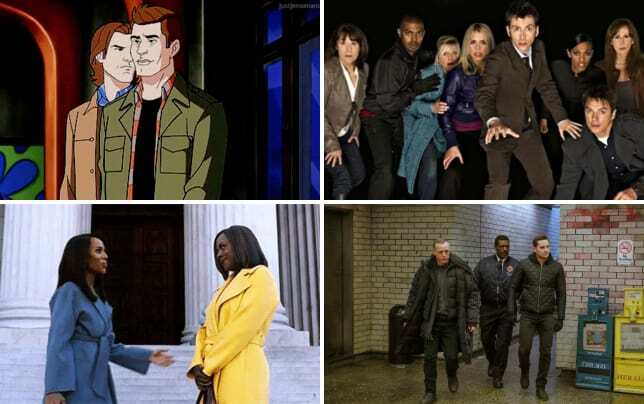 Related: The CW Renewals: The Flash, Riverdale, Dynasty & 7 More! The CW renewed Legends of Tomorrow for Season 4 earlier this year and later announced that it would remain on Monday nights in the fall. It will be paired up with Arrow, which has been showing its age in the ratings of late. What do you think of this news, Legends of Tomorrow Fanatics? Remember you can watch Legends of Tomorrow online right here via TV Fanatic. Get caught up on all the latest action right now.